Yosemite has extended the concept of Backup Simplified™. Yosemite Backup represents the next generation of data protection from the single server to the enterprise. Built upon a highly scalable architecture that is operating system and hardware independent, Yosemite Backup makes backup easy by utilizing a common user interface, a seamless upgrade path and simplified licensing that avoids node locking or tiered pricing. Yosemite Backup is the first backup software solution designed from the ground up for today’s growing enterprise IT organizations. 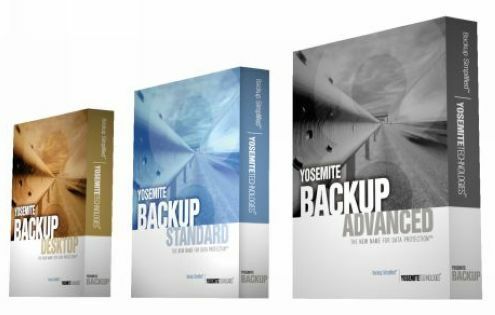 While Yosemite Backup Advanced represents the next generation in enterprise backup software, Yosemite also provides solutions for small business IT organizations. Yosemite Backup Standard™ delivers enterprise caliber features such as a multi-tier architecture, concurrent data streams and heterogeneous platform support. No other backup software provider can match Yosemite’s breadth of solutions and price/performance. From the most popular hardware bundled backup solution for single server environments with Yosemite Backup Basic to the next generation in enterprise backup, Yosemite is setting the standard for reliable, scalable data protection. To help you you choose the best backup product for your needs, we now offer Product Builder, tool that helps you to determine the backup solution you need.